Vitamin E is considered as one of those vital components that a person requires for improved health, hair and skin. 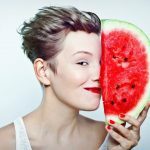 By including vitamin E within your daily diet, there are possibilities that you could get rid of different skin and hair concerns. 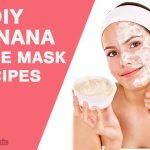 Here we Explain some effective homemade vitamin e face mask recipes let us read and try yourself at home. Vitamin E is an essential constituent that assists to restore and enhance your health conditions. 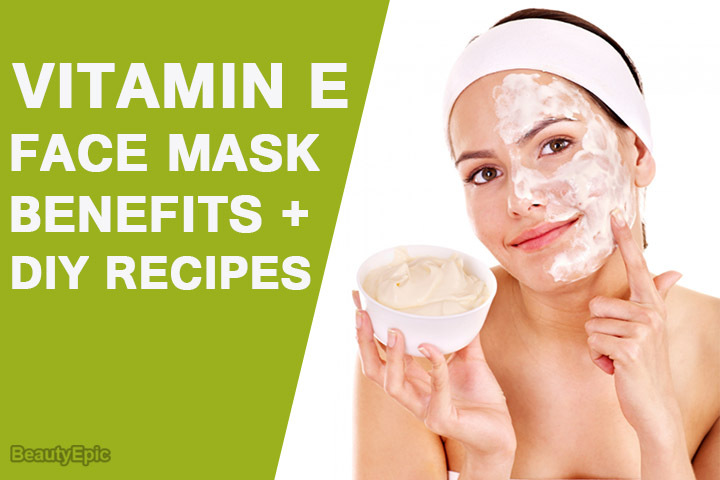 Regular intake of Vitamin E face mask helps to bring youthfulness of the skin. It assists to rejuvenate your cell within the skin. The skin aging process starts to decrease. 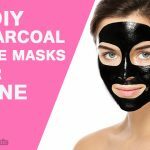 Its face mask aids to make your fine lines smoother and accurately maintains the skin beauty. Egg white has capability to lighten your skin complexion. Moreover, vitamin E assists in moisturizing the face. Initially mix 1 tsp yogurt and 1 tsp whisked egg in equal proportions. Now pop open one vitamin E oil capsule in this mixture. Now combine all the elements well and then apply them right on the face. Allow it to dry for approximately 15-20 minutes. Finally scrub it off and then wash the face mask with cold water. Egg whites are known to contain protein capable to heal and rebuild skin along with momentarily shrinking the skin pores. Also, vitamin E aids to keep oil intent in pores from getting hardened and stained. Tips: Egg whites are known to be very drying. Hence, you might need to apply a non-pore-clogging moisturizer post utilizing egg whites inside a facial mask. Coconut oil and vitamin E are considered as powerhouses in providing lots of skin benefits. Initially melt 8 tsp of Coconut oil on stove. Now pierce 2 vitamin E capsules and then add to the coconut oil. Make use of toothpick to mix these two ingredients. Place it inside the fridge to solidify. After refrigerating the mask for few minutes, apply it over the face. How it works: Coconut oil is rich in nutrients, essential fats, vitamins and antioxidants. Best time to apply: Once in morning or night. 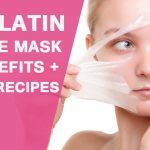 Tips: Before applying, refrigerate the mask for 10 minutes. Avocados are a superb base for all facial masks. The smooth and creamy texture is considered as an excellent start for any face mask. Initially combine the flesh of an avocado and one teaspoon of Manuka honey. Now apply it over cleansed skin, sit and relax for 20 minutes. Finally rinse off this face mask with lukewarm water and then apply your preferred moisturiser. The face mask of avocado and vitamin e is known to work in a simple and fast way for enhancing skin condition. The mask aids to moisturize as well as exfoliate the skin. Best time to apply: In evening. Tips: Make sure you place this mask inside the fridge for several minutes prior applying for getting an extra cooling effect. Bananas contains Vitamin A which helps to decrease the look of blemishes, scars and dark spots. When combined with vitamin e capsule, the final face mask heals the skin condition. First grind one banana inside a mixer to prepare a smooth mixture. Now add one spoon of vitamin E oil which is extracted from vitamin E capsules. Now massage your skin through help of this mixture for around ten minutes. Finally leave it on for around 20 minutes. Bananas contain potassium capable to hydrate as well as moisturize your skin, making it soft and smooth. When vitamin E is added to it, the face mask facilitates new skin growth as well as resolve wrinkles and ageing signs. Tips: Apply this natural remedy for at least a week in order to whiten your skin. The face mask prepared from honey and vitamin e would help to make your skin glowing and reduce effect of acne. Initially combine 1 tsp of honey and 1 vitamin E capsule together. Now prepare a smooth paste. Gently apply it over your face and then carefully wash it off after 15 minutes. How it works: The face make comprises of vitamins, natural moisturizers, minerals and antioxidant that assist to decrease the sign of aging of skin. Tips: Make sure to prepare smooth mixture of honey and vitamin E capsule. The present face pack assist you to reduce dark spots. Initially extract the pulp from the aloe vera stem. Now dissolve a vitamin E capsule and combine its oil with aloe vera. Apply the mask over your clean face and allow it dry entirely. Lastly rinse your face using cold water. How it works: Aloe vera is known to contain allicin as well as antioxidants that can go in deep inside the skin layer, refilling the lost moisture of skin. Best time to apply: In morning. Tips: Keep your face clean before applying this mask. The face mask includes essential botanical extract to purify your skin. Initially prick one collagen tablet and one vitamin E capsule. Combine extract from both of them. Apply it over your face and sit for 10 minutes. How it works: The face mask function to raise the absorption of the ingredients encompassing the collagen as well as vitamins. Tips: Make sure to sit for 10 minutes before washing off the mask. Lemon juice possesses vitamin C as well as natural alpha hydroxy acids, capable to serve healing power for scars. First prick open two vitamin E capsules to get vitamin E oil. Now combine this vitamin E oil with 2 spoons of lemon juice. Gently apply the mask on your face and sit for 30 minutes. How it works: Vitamin E functions as fat-soluble antioxidant. Lemon juice functions to heal scars and stretch marks. Tips: Make sure to use fresh lemon juice only. Different people have different skin allergies and skin problems so do not use any of these ingredients if you are allergic to it prior consulting your doctor or getting medical advice.